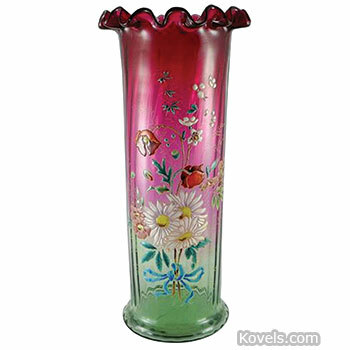 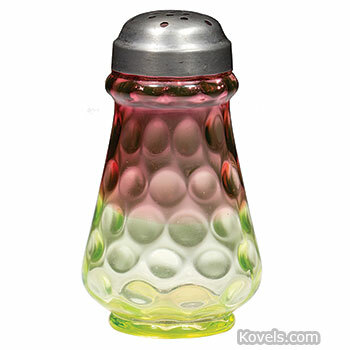 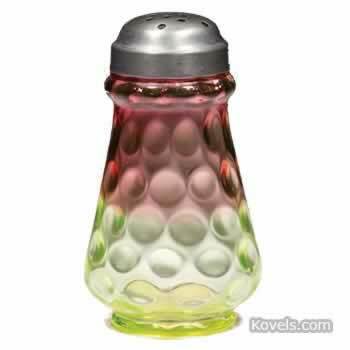 Rubina Verde is a Victorian glassware that was shaded from red to green. 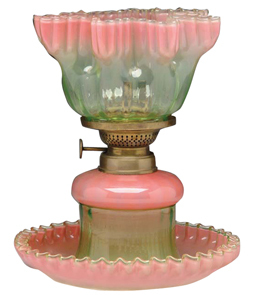 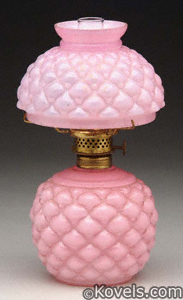 It was first made by Hobbs, Brockunier and Company of Wheeling, West Virginia, about 1890. 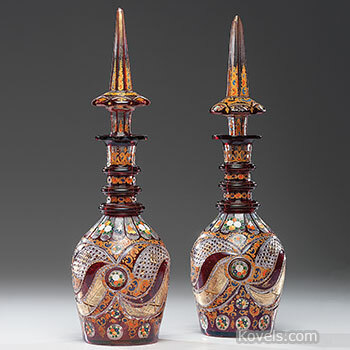 Many Rubina Verde pieces listed are cruets, pitchers, and vases.